PHOENIX – The wait is over for hopeful hunters who applied for a 2019 spring hunt permit-tag. 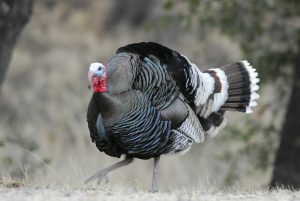 To view the draw results for the spring turkey, javelina, bison and bear hunting seasons, online applicants should log in to their Arizona Game and Fish Department portal account. Don’t have a free account? Simply click on the “My Account” button in the upper right-hand corner of the www.azgfd.gov home page, then select the “Register” option and fill in the required fields. Draw results also can be accessed by calling the department’s automated telephone system at (602) 942-3000 and pressing “2.” All hunt permit-tags will be mailed by Nov. 30. Refunds will be mailed by Nov. 16. A total of 43,318 applicants – of which 42,784 applied online (98.8 percent) – vied for 34,030 total hunt permit-tags issued through the random draw. For those who were unsuccessful, a list of more than 8,200 leftover hunt permit-tags is expected to be posted online next week at https://www.azgfd.com/Hunting/Draw/. The department will begin accepting applications for leftover hunt permit-tags Monday, Nov. 19 – by mail only – at 5000 W. Carefree Highway, Phoenix, AZ 85086, Attn. : Draw/First Come. Leftover hunt permit-tags will be available for purchase on a “first come, first served” basis beginning Monday, Nov. 26, at all department offices.